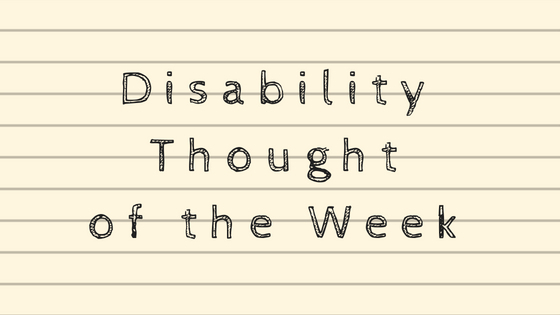 Disability Thought Of The Week: What's Your Major? Disability is about physical and mental conditions, symptoms, diagnoses, treatment, rehabilitation, adaptation, prevention, and cures. It’s about how our bodies and / or our minds are different, and how we can cope with that, or make them less different. It's about fixing what's wrong. Disability is about self image, education, social skills, internalized ableism, empowerment, and disability prejudice. It’s about how each of us processes our disabilities, the way people treat us, and how we present ourselves and deal with the people around us in relation to our disabilities. It's about understanding ourselves and what disability means to us as individuals. Disability is about institutional ableism, accessibility, disability culture and identity, and disability history. It’s about how society and culture creates, uses and modifies the category of disability, and how we can deal with that and redefine disability on our own terms, together, as a group. It's about understanding disability as a social phenomenon. Disability is about activism, coalition-building, and disability policy. It’s about making everyday life better … maybe a lot better … for disabled people through deliberate and specific policies, through concrete things we know how to do, if we can muster enough political will. It's about using political action to make things better. Everybody with disabilities, and everyone with any reason to think about disability, “majors” in one of these approaches, sometimes with a minor to go with it. The thing is, having disabilities is about ALL of these things. The differences among us are about which aspects of disabilities we understand best, which affect us most day to day, and which we are most interested in thinking and talking about. And, like so many college students, sometimes we switch majors over time. What’s your major? What was it when you were young, or when you first experienced disability? Has your disability major changed? The joke is that Anya is a former demon who is new to being human, and therefore doesn’t know how to be polite. She has these powerful needs and wants, but few restraints on her behavior. So people are always telling her to calm down or be patient. The idea inside of that joke is that Anya is, accidentally, often very sensible and direct, where her “normal” friends are sometimes overly concerned with etiquette and caution. By one standard, Anya is tactless and childish. By another, she is refreshingly logical and direct. I instantly thought of how disabled people feel about being patient, especially on the issue of accessibility. As thousands of disability activists have said over the last several years, the Americans with Disabilities Act is not a new law. It hasn’t been any kind of "new" for at least a decade. Yet, we are still told, or it is heavily implied, that the proper, reasonable attitude we should have about our full legal rights being respected is patience. It takes time to comply. It takes time to change attitudes. It takes time to retrofit old buildings and neighborhoods. The ADA passed in 1990. We have been patient, as Anya would say. But it has taken too long. P.S. : Here's another "Buffy" themed blog post from 2015: Disabled Youth & Vampire Slayers. I am starting to think that there’s a single phenomenon we don’t talk about directly in disability culture, but which is at the core of most of the everyday personal foolishness that bothers and annoys disabled people. That single thing is platitudes. A platitude is a trite, meaningless, or prosaic statement, often used as a thought-terminating cliché, aimed at quelling social, emotional, or cognitive unease. A platitude is even worse than a cliché. It’s a sanctimonious cliché, a statement that is not only old and overused but often moralistic and imperious. ... [P]latitudes have an aphoristic quality, they seem like timeless moral lessons. They therefore shape our view of the world, and can lull us into accepting things that are actually false and foolish. Platitudes often take the form of tautologies, e.g., "it is what it is", making them appear vacuously true. But the phrase is used to mean "there is no way of changing it", which is no longer a tautology: "Structuring the sentiment as a tautology allows it to appear inescapable." At the same time, some phrases that have become platitudes may provide useful moral guidance, such as "do unto others as you would have them do unto you". Others, though widely trivialized, may be thought-provoking, such as "Be the change you wish to see in the world". Motivational memes: “What’s YOUR excuse?” [captioning a photo of a disabled person doing anything unexpected]. Why am I, as a disabled person, better off being more knowledgeable about disability history, more aware of the struggles of all kinds of disabled people, and more cognizant of the power and reach of ableism? Why is it better that I am the way I am now ... constantly aggravated and worried by disability issues ... instead of the way I used to be ... moderately bummed about my "limitations" but basically fine? I am by any measure a lot angrier than I used to be before I got deep into disability activism and culture. I mean, I’m not angry all the time ... though I know some of us are. I’m really not the angry person type. I enjoy my life. Still, I used to not be angry at all about things related to disability that I am definitely angry or at least disturbed about now. So how is that better for me? Put another way, if you’re disabled, and your life is going fairly okay ... fair to middling ,,, what’s your incentive to get involved in disability issues and expose yourself to all these upsetting things? I have a confession. When I first heard about the movement to ban plastic straws, and the anger of disabled people about it, I thought the whole thing was overblown. Although I have disabilities, I have only once or twice in my life needed to use a straw to get a drink. And that lack of immediate experience I think contributed to my initial belief that while it was a valid conflict and straws shouldn’t be so quickly and thoroughly banned, there was far too much anger about it on both sides.. In a way, I think there still is, because the thing should be easily resolved. - The straw ban people should probably shift into a public persuasion campaign encouraging people who don’t need straws to request no straws when they order drinks at bars and restaurants. - The disability community should probably accept something like that as a win, and maybe stop claiming, as a few of us have, that the straw ban is happening because non-disabled people hate disabled people. Note: My own interpretation is that straw bans are happening because of the usual obliviousness and neglect of disabled people and disability concerns that occurs when non-disabled people get all excited about a brilliant plan ... whether it's a social justice movement, a conference, or a building. Indifference like this may seem to activists like a weaker, less motivating explanation than hatred, but not to me. Indifference towards disabled people is terrifying, and enormously harmful. If we can secure the continued existence and availability of plastic straws for all who need them, then maybe we can also stop getting worked up over these small-bore personal environmental initiatives and organize instead around some serious push-back on the Trump Administration’s environmental policies. Meanwhile, the disability community can use this as an example of why movements and initiatives that seem to have nothing to do with disability should always consider the possible disability angles on what they are doing, and get serious about consulting the disability community. That means more than just asking that one disabled guy you happen to know. It means reaching out to several different disability organizations that have the capacity to provide both personal and technical feedback. It also means that those organizations need to be ready to provide that kind of feedback on a moment’s notice, and mobilize in a reasonable but also forceful way to deal with things like the straw ban movement. That would be great. And some of it might actually be how it turns out in this case, since it seems to me like the disability community is actually being heard on this, or at least having a voice, much faster and in more mainstream venues than I would have guessed just a few weeks ago. The problem is now being covered in “the press,” and not dismissively or as a curiosity. The problem is that there’s almost nobody out there that I can see, other than a few disability bloggers, freelance writers, and tweeters, offering specific demands or compromise formulas to the environmental movement, municipalities, and companies like Starbucks. The only organized campaign I’m aware of is by Disabled In Action in New York City and the Brooklyn Center for Independence of the Disabled, which were planning to do a rally and press conference at a Starbucks store in the city today, but have at this point postponed because they are having possibly productive dialog with Starbucks management. I hope this bears some fruit. For myself, I’m going to go to my local Starbucks this afternoon and talk to the manager there about the straw ban, and ask him to pass along to upper management the accessibility problem with banning plastic straws. I invite all my fellow “basic” disabled Starbucks goers to do the same. I admit that I am still ambivalent about the straw ban controversy within the disability community. Obviously, disabled people who need plastic straws and can’t use other kinds have an important concern that needs to be taken into account, and is instead either ignored or outright disparaged by straw ban supporters. Yet, I do think that reducing plastic straw usage overall is probably a good idea. That’s why I appreciate this article, which offers a reasonable compromise that I think could end up doing most of what straw bands are intended to do. When I started the Disability.TV podcast, this is the kind of discussion I wanted to have. I discovered that I’m not that good at podcasting … more specifically, not good at speaking off the cuff. It also felt like discussions about TV and movies in disability culture were pretty binary. Or more accurately, singularly focused on identifying ableist offenses and giving out demerits for them. I certainly think TV continues to earn demerits for ableism, and certainly did when Arrested Development came out, but I like how this piece engages the idea that at different times, imperfect representations may be better than none at all, while probably not deserving a permanent pass. I’m a regular listener to Maximum Fun podcasts, which are overseen by Jesse Thorn. And I like Jesse a lot in his role as “Bailiff” for the Judge John Hodgman podcast. I’ve listened to his NPR show Bullseye a few times too, though I’m not a regular. But when Jesse mentioned having talked about Ed Roberts in a recent Bullseye episode, it took me by surprise and I went right to it. What a lovely tribute. Jesse is personal and admiring, but doesn’t forget to explain why Ed Roberts means something to so many people who never met him. This is an essential component of any introduction to the Disability Rights and Independent Living movements. Please Don't Call My Autistic Son "Buddy." One of these days I’m going to make a definitive list of things disabled people think and feel that are really hard to explain to non-disabled people. Condescension is one of them, despite the fact that once it is directed to you, the problem with it is dead obvious. This article explains it pretty well. I turned 51 this June. I don’t know if I’m qualified for any senior discounts yet, but this piece sure resonated with me regardless. When I was younger and just becoming familiar with disability activism and culture, one of the main ideas we were supposed to convey was that disabled people were tough. We were resilient, adaptive, persistent, low-maintenance, and easy to get along with. This message was deliberate. Disabled people are constantly underestimated and assumed to be weak, fragile, and just plain weird to be around, so it makes some sort of sense to emphasize the opposite qualities. Now, roughly 30 years later, it feels like we are coming to grips again with vulnerability, not just as a community, but individually. Part of our message now is that we are not superhuman. We are not endlessly adaptable. Our resilience is not bottomless. Our patience and good cheer have limits. We get tired, anxious, depressed, and angry, and sick ... and not "just like" everyone else does, but in ways that are specific to our disabilities. I appreciate this more balanced view of disability. It certainly fits my own disability experience, which is a combination of real capabilities and real weaknesses. But sometimes I sort of miss the tough, resilient, easygoing image. Because part of our reality is that we are tough, we are resilient, and given the crap we have to deal with every day, we are incredibly patient and damned delightful. Maybe we can be both. Maybe toughness and vulnerability are the true hallmarks of being a disabled person. Since I tend to gravitate naturally towards the pessimistic / fighting injustice side of disability culture, I’m trying to make an effort to balance my this out with stuff that makes me feel good and optimistic in a substantive way. 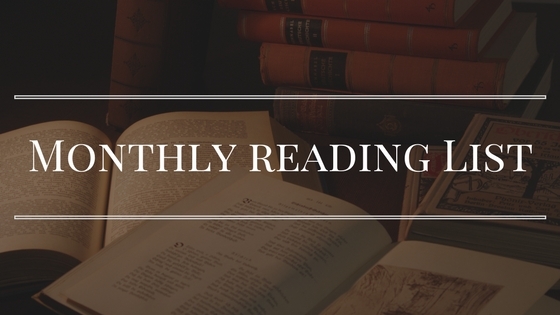 So this month I am highlighting five articles on disability from May that can be roughly categorized as “positive.” That is, they don’t focus mainly on either personal or systemic ableism, while also avoiding excessive or superficial sentimentality. This is a good place to start ... a reexamination of our common discomfort and disapproval of portraying disabled people as “inspirational.” Maybe we need to reclaim the word. It doesn’t always have to mean cheap sentimentalism, especially when we as disabled people are inspired by one another. There is still a place for light, self-deprecating humor in disability culture. It might actually be more important right now than ever before. Adding more disability images to commercial stock photo collections is a low effort / high impact cultural change that needs to be capitalized on and recognized. About half a weekend was taken up discussing on Twitter the pros and cons of publishing disability pieces in The Mighty, which has a “problematic” reputation in certain segments of disability culture. It was a good conversation, and Gaelynn was really gracious about it. But I also feel a little bad, because her actual article is outstanding. So here it is. Go read it. I’m going to try to write a blog post later this week on something I have been thinking about a lot lately. My thought, which I am trying to tease out and shape, is that what is usually called “self advocacy” and what is generally understood to be “disability activism” are of course related, but call for very different strategies. 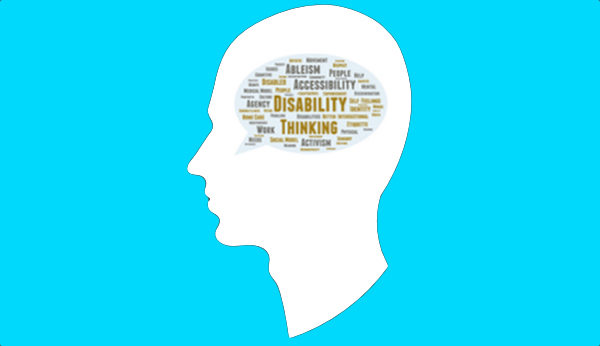 Approaches that can be smart, ethical, and effective for self-advocacy in your personal life are not always right or successful for larger-scale systemic advocacy on disability issues. And vice versa, maybe. I hinted at this in a post from last month, but I want to explore it in more depth, with more specifics. I hope to have more to say on Friday, or maybe the weekend. In the meantime, feel free to use the comments to suggest examples. Can We Stop Arguing About the “Right Way” to Be a Disability Activist? People seem to like this piece I wrote for Rooted In Rights. TL;DLR … We should stop judging others, and ourselves, for which modes of disability activism they / we choose. I may write what would probably be a more controversial followup on how we think about the content of disability activism, as distinct from methods. Should we be as open and accepting of all disability activism goals as we are of how and where to pursue them? What do we do when a disabled person does disability activism activities in pursuit of, say, medical research, or a personal advocacy goal, or to keep a sheltered workshop open? Does it matter what “we” think?